Socrates' Book Reviews is participating in this year's Gratitude Giveaway. 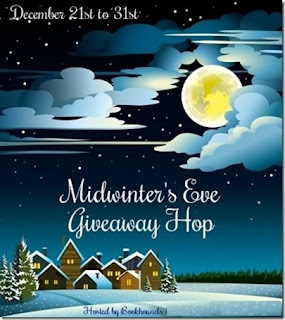 The giveaway hop is hosted by Mary at BookHounds. I'd like to wish everyone a very happy holiday season and a very happy 2017. Don't forget to visit the other participants in the giveaway listed below. 5) For one extra entry: Leave a comment - What do you love most about winter? The giveaway begins on December 21st and ends on December 31st . Lovely chai and teas which go beautifully with a book and a snuggly dog. Thanks for this great giveaway. Sitting on my patio, sipping something hot, covered up in my favorites covers, reading a good book. I love playing in the snow during the winter months. My favorite thing about winter is being able to wear sweaters. I love sweaters! Going out or staying in...I love wearing sweaters. Cardigans, pull-overs, plain, or fancy...I love sweaters! I've never knitted any, but I sure have bought a lot. I like snuggling up and reading a book by the fireplace when it gets cold outside. My favorite thing about winter is sitting in front of the fireplace reading a good book. Winter is nice and cold. So crisp! Our winters are wonderful... warm with lots of outdoor festivals and activities! I love how quiet the mornings seem when there is fresh snow on the ground. I like the holiday season so that is my favorite thing regarding winter. I love snow days, snow outside, me inside, curled up reading. My favorite thing about winter is that I have more time for reading. I love seeing the wild birds enjoy the seed I set out in the backyard. Snow and hot chocolate! Happy Holidays! Since I have rheumatoid arthritis winter is not one of my favorite seasons. Generally I enjoy curling up with a blanket and a good book with a cup of Chai tea. I love playing with my children in the snow. I love the cooler weather, great for sleeping. I like seeing the snow but not being in it! my fave thing about winter is getting two weeks off from work in december. My favorite thing is when it's over. I'm a summertime girl!! I like the colder weather of winter, however I don't like the snow/ice. More time for reading! Thanks for the giveaway! I like the rain we have gotten this winter in California. We needed it! My favorite thing about the winter is the snow! I love snow! So beautiful! I love the snow when it first falls. It is absolutely stunning! I live in Northern Arizona and am blessed to enjoy full winters. the first snowfall and reading ! Winter is when we finally get rain. Yay for rain. I love the snow from the inside looking out. I sure hate driving in it.